Portable storage containers provide a safe, secure space to store your belongings. Maybe your business is expanding and you need a long-term storage space for records and inventory until you can build an addition. Whether you need a small storage container for a short period of time, or a larger mobile storage unit for an extended duration, Equipment Rental Direct is your source for affordable storage container rentals. Homeowners, renters, business owners and contractors regularly use portable storage units. The weather-resistant mobile units are available in a variety of sizes, making them an optimal solution for storing goods and materials of all kinds. A homeowner might rent a modular storage container if they are trying to sell a home. Homes with too much clutter look smaller than they really are which could be a turn off to a potential buyer. A mobile storage unit allows the homeowner to store seasonal items and excess furniture while a home is on the market. Most portable storage container rental companies offer a warehouse storage option for homeowners who prefer not to have the unit sitting on the property. Homeowners might also consider renting a portable storage unit during a remodeling project. Storing items during construction greatly reduces the chance of damage to your belongings. Owners of restaurants, retail shops, and service companies find that portable storage containers are useful for stockpiling excess inventory, paperwork, file boxes, office supplies, and even landscaping equipment. Contractors love using portable storage containers. The mobile storage units provide a dry, secure place to store materials and equipment on job sites. The items can be unloaded in the morning, used during the work day, then stored away for the night. When the project is complete, the storage container is simply transported to the next site. 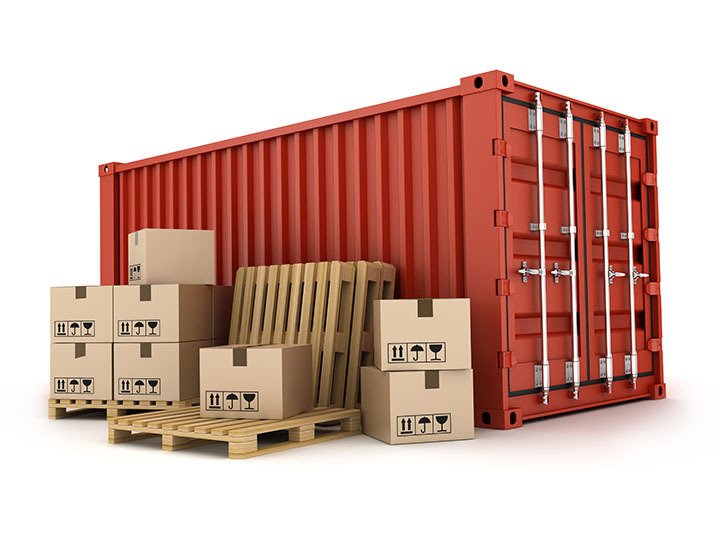 The most common types of storage container rentals are made from metal, plastic, and fiberglass. Each type of material has benefits and disadvantages. Some portable storage container rental companies also offer wooden containers; however, these containers are not as common. Typically the largest containers on the market, portable storage units made of metal are sturdy and secure. These are particularly useful when storing materials for extended periods of time. 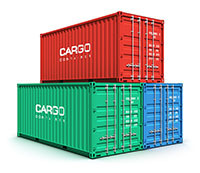 Due to the weight of these large containers, transportation costs may be higher than with a lighter weight plastic or fiberglass storage container. Metal containers are a favorite amongst contractors due to the durability of the material, which is perfect for storing or moving heavy items. Plastic containers cost less to transport than metal portable storage containers, but they are not as sturdy. Plastic storage containers work well for items that are lightweight. Renters will find that mobile storage containers made from plastic are an affordable option for storing and transporting the contents of an apartment during a move. Fiberglass storage containers are the most attractive of the options. They are resistant to weathering which means they are less likely to show signs of wear. Fiberglass containers are sometimes available in colors that help the unit blend into the surroundings. This is a good option for homeowners and businesses who are worried about curb appeal. Fiberglass is a durable material that is lighter in weight than metal, making is a cost-effective option. Wooden containers are a good option when long-term storage in a warehouse is desired. The natural material provides better breathability for household goods and products made from paper or cloth. Mobile storage units are available in sizes to meet almost any need. Whether you need a small container to store seasonal inventory or a large storage unit that can hold the contents of an entire home, portable storage containers are available to suit your specific requirements. There are even various storage container options that can be requested to make your project or move even easier. After you decide on the right size for your portable storage container rental, you may want to consider adding special features to your unit for ease of access or extra security. Equipment Rental Direct helps you find the portable storage container that is just right for your individual needs. From a medium-sized storage container with the best security features on the market to a large mobile storage unit that simply provides shelter from the elements, we will help you find the portable storage container that protects your goods without exceeding your budget.